Criminal justice can get very technical, as I witnessed firsthand earlier this month at the Community Reentry and Expungement Summit’s Ask the Chiefs panel discussion. There are so many different stages in the process of trial and incarceration, and it can be hard to follow. It didn’t help that what was supposed to be a “discussion” was more like a lecture. The agencies represented at the panel certainly do a lot to help the victims of the criminal justice system’s shortcomings, but the central message of change was lost in the heat of competition. With every new question came a carefully chosen answer describing the agency’s achievements and credentials. The fundamental problem was in the composure of the panelists, who were all so distant from the audience and completely focused on advertising their agencies and less on answering tough questions. I’m here at JPI because I want to ask those tough questions to break the mold and make a difference. The panelists were there to explain the way things are, but were unable to detail how real change was to occur. Question after question was dismissed and referred to an agent of one of the agencies instead of providing a solution. This frustrated me to say the least. But I’m learning that there is much frustration in the work of criminal justice and reforming a broken system. But there is a light at the end of the tunnel: the panel did prove to be a hub for connecting those in need with the best resources to help with their problems in court and with the criminal justice system. I enjoyed learning about the services available for different groups of people. 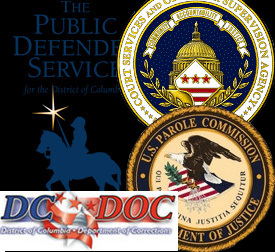 There are services offered by the D.C. Court Services and Offender Supervision Agency (CSOSA) specifically for women in prison due to their specific needs. Chairman of the U.S. Parole Commission Isaac Fulwood, (former Chief of Police for the Metropolitan Police Department) explained that there is a court transportation service offered to those on release to ensure they can make it to their hearing. Tori is JPI's communications intern.